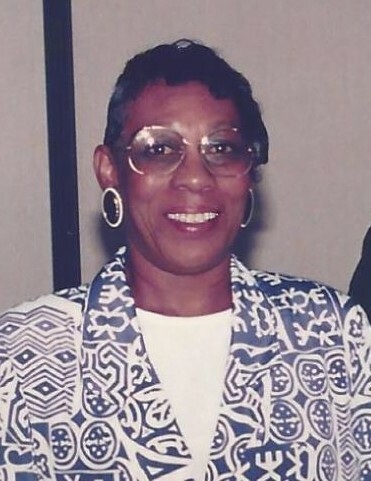 Obituary for Lila Lucille Perrin | Marcus D. Brown Funeral Home, Inc.
Lila Lucille Perrin, 81, of 1306 Dooley Street Anderson, SC passed away on Friday, January 25, 2019 at the Rainey Hospice House. She retired from Clark Schwebel after many years of service. She is survived by her son, Bennie Perrin of the home; sisters, Virgina Johnson of McCormick, SC, Nellie Burnwell of Washington, DC, Arlene Rice, Mary Ruth Brown, Barbara Nell Brown, Janie Bell Brown all of Anderson, SC and reared in home, Doris (Moses) Robertson also of Anderson, SC; brothers, Charles Wesley "Bo Pete" Perrin of Detroit, MI, Jimmy Brown and Hurbert Brown both of Anderson, SC; two grandsons, TJ Earle and Brandon Alexander; and a host of nieces, nephews, other relatives and friends. She was preceded in death by her parents, Will and Lois Perris; four sisters; and four brothers. The funeral service will be held at 1:00 p.m. on Wednesday, January 30, 2019 in the Ollie Robinson Brown Memorial Chapel of Marcus D. Brown Funeral Home. The interment will follow at Anderson Memorial Gardens. The family is at the home, 1306 Dooley Street Anderson, SC 29624. Click on the service detail tab for directions and public viewing times.